Rachael Ray Muffin Pan Just $10.54! Down From $34! PLUS FREE Shipping! You are here: Home / Great Deals / Amazon Deals / Rachael Ray Muffin Pan Just $10.54! Down From $34! PLUS FREE Shipping! For Amazon Prime Members only! 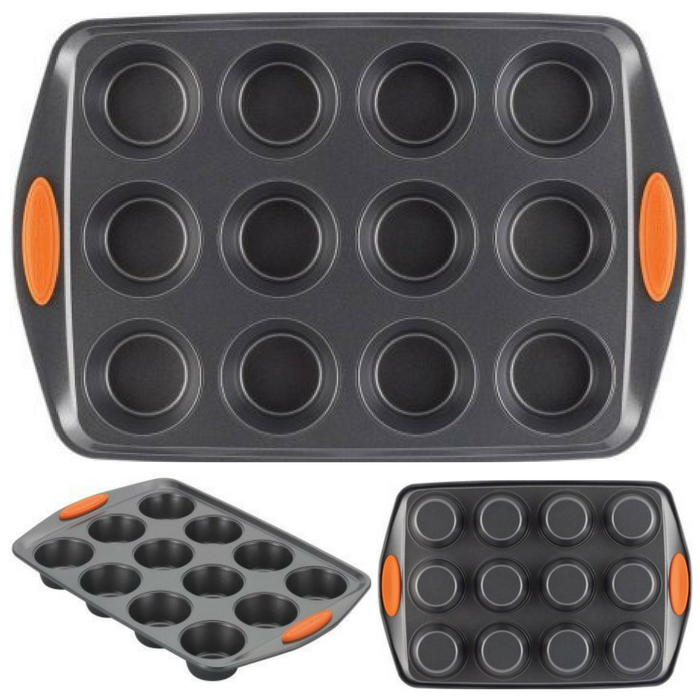 Head over to Amazon to score this Rachael Ray Muffin Pan for just $10.54 down from $34 PLUS FREE shipping! This 12-cup muffin pan is perfect for baking cupcakes and muffins or anything else you can create in individual servings. This bakeware features a nonstick interior and exterior that is dishwasher safe for easy cleanup. Extra wide handles provide a confident grasp and the comfortable silicone grips add color to your kitchen.